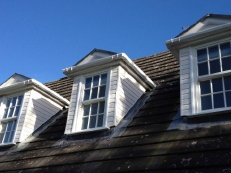 Sympathetic to a building's looks, whether domestic or commercial, we can advise on the best product to suit your needs and you can be sure that we will give you the best and most independent advice. Modern Double Glazing offers improved efficiency to ensure that you get the most from your home heating, retaining extra warmth, additional sound proofing and no more nasty draughts. As a FENSA Registered Member we are able to self-certify that any replacement windows fulfil the current thermal performance standards that are required under Building Regulations and provide you with certification. 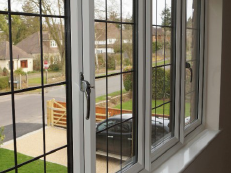 PVCu windows are the perfect choice for your house. These days we understand you demand greater security for your home so all our PVCu Windows are internally glazed and have shoot bolt locking as standard. But security isn't the only concern with windows and that's why PVCu windows are so popular. They not only provide affordable,effective insulation and can drastically reduce your energy bills, but can also prove resistant to even the most extreme forms of weather, from major urban pollution to more extreme weather systems in rural areas.